Full Color Vinyl banners are a high impact and attention grabbing advertising tool and is proven to demand attention and drive more traffic. 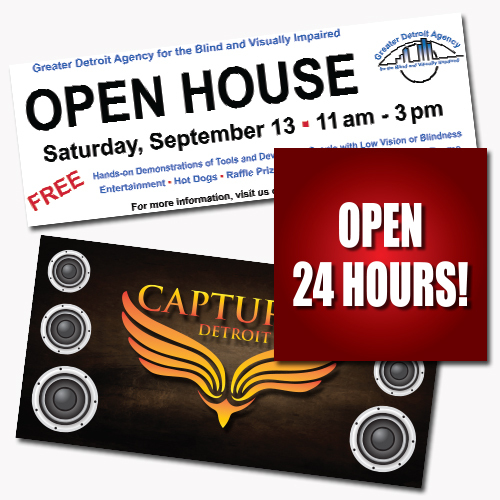 All banners are printed digitally in full color allowing you to include photos, color text, color logo and any designs. Vinyl banners are Custom printed banners in full color on Outdoor durable 13oz. scrim vinyl banner material, direct from your custom design art file. We offer large selection of standard banner sizes.